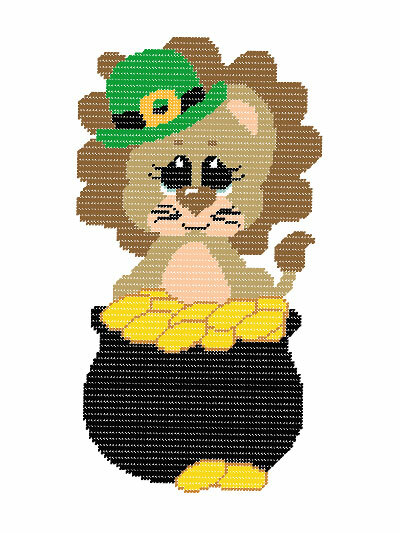 This lucky little lion found the pot of gold! 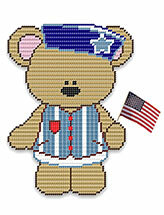 He is willing to share, but you have to stitch him for the gold coins to appear! 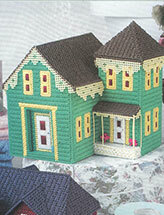 Pattern includes instructions for the smiling version, as well as the sober version. Size: 12" x 22 1/2". 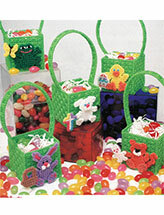 Made with medium (worsted) weight yarn and 7-count plastic canvas.